● If you enter your website URL, you can get a free sneak preview of your new mobile site converted from your current website. You can also access Duda’sSmall Business Templates in order to generate a mobile site from the webpage of your desire. ● DudaMobile offers a free version of its services covering ten pages and 500 MB bandwidth maximum for your desired mobile website. Alternatively, the paid service covers unlimited pages and bandwidth for a flat monthly fee of $9. See the plans here. 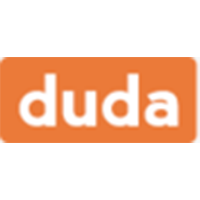 ● DudaMobile doesn’t offer many coupons or discounts at any given time; rather, they are occasional and offer flat rate discounts such as 20-25% off premium plan subscriptions or reseller plans. Promos also often require a coupon code to activate. DudaMobile customers will have the opportunity to create mobile ready websites for their businesses over their organizations, or even their own personal use without having to understand any web programming or coding languages. This service provides hundreds of different responsive website templates that are as close to plug and play as it gets, giving business owners and individuals the opportunity to create their very own well-designed and professional looking website in next to no time at all. More than 5 million users have already created their own website using this particular tool, and with more templates being added on a regular basis (and the option for infinite creativity using the online editing tools) it's a perfect solution for those that want to get their online business up and running. For most up to date offers check out Duda on Facebook and Twitter or contact Duda Support for any questions.